REEF rain jersey. Ideal for mild rainy days, was developed with team Lotto-Jumbo to provide their riders with a comfortable performance rain jacket. 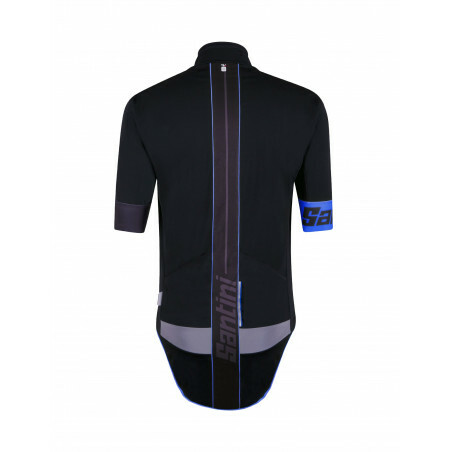 Made of the exclusive Tempo breathable membrane fabric, the REEF jersey has an aerodynamic fit and follows a strategic cut with a longer back to protect you from rain and spray from the road. 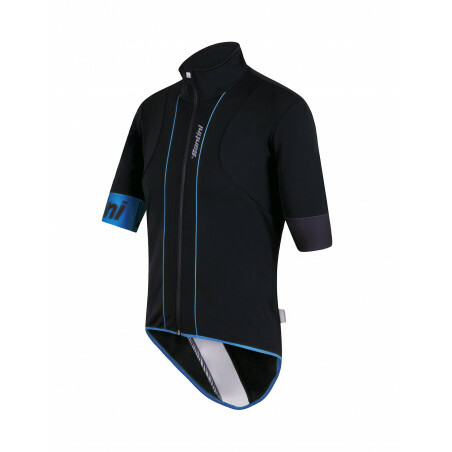 The REEF rain jersey was developed with team Lotto-Jumbo to provide their riders with a comfortable performance rain jacket, to be worn on top of their team jerseys when racing; with arm warmers on colder days. Made of the exclusive Tempo breathable membrane fabric, the REEF jersey has an aerodynamic fit and follows a strategic cut with a longer back to protect you from rain and spray from the road. 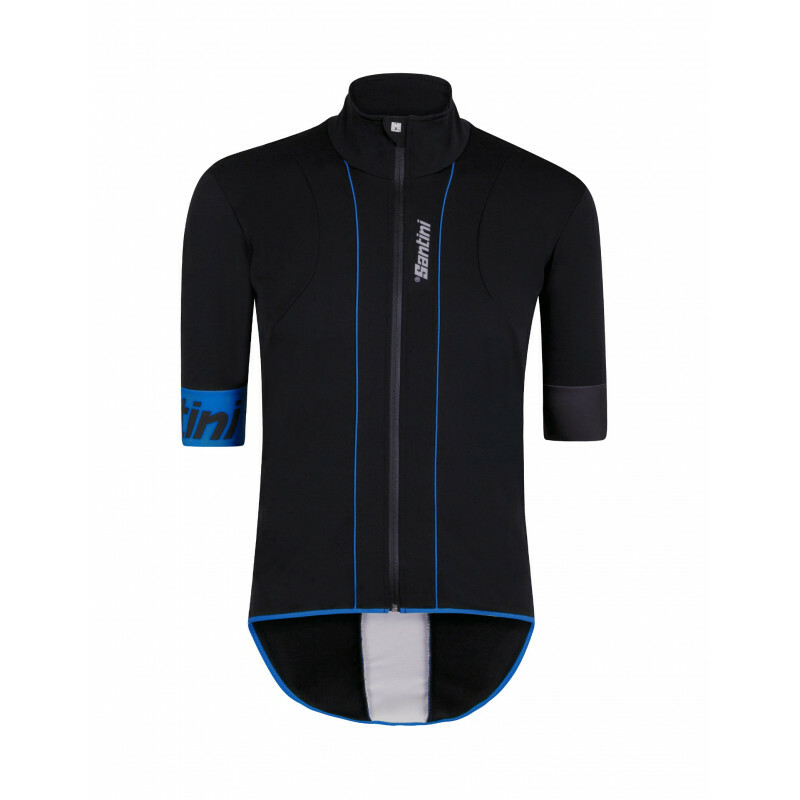 The reflective trim at the base of the jacket, and the line of reflective piping along the front and back, make this jersey ideal for safer riding in the dark. REEF is ideal for mild rainy days and will become one of your favorite gear! As seen on the Lotto-Jumbo team! 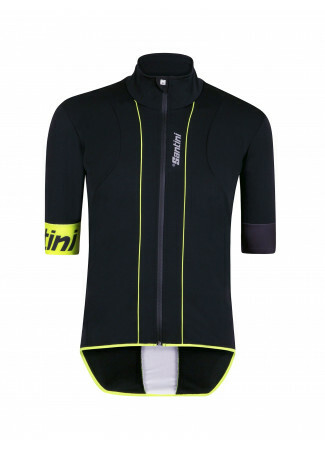 I rode with this jacket in very windy conditions with 8 degrees celsius. I also rode it during a MTB ride with heavy rain and 4 degrees celsius. 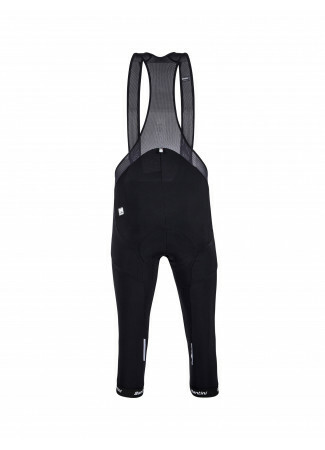 Although it is not waterproof, it kept me warm and has a great fit. 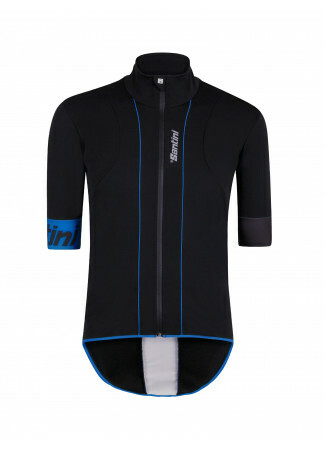 I always used a Gabba in these conditions, but I prefer the reef rain jersey. Acabamento perfeito, costura top! Material de construção bom. Já testei e funcionou muito bem na chuva, para temp de 20oC ficou bom, mais que isso acho que vai ser quente. Comprei um tamanho maior do que a jersey, ficou um pouco mais largo que o esperado. Recomendo.